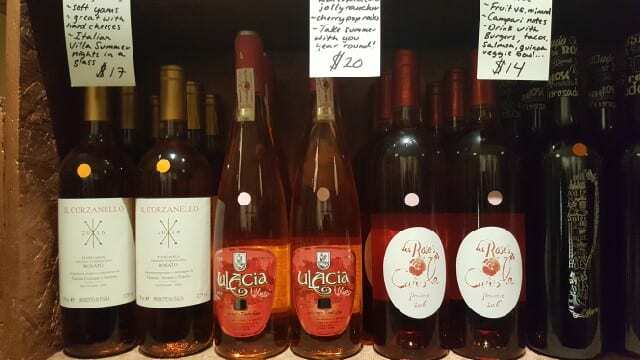 Located on a yet-to-be-developed street in Virgil Village in Silverlake, Vinovore is a brand new specialty wine shop. The store is not very large, about the size of a comfortable living room, and is home to approximately 150 different wines, with plans to grow to 250 in time. 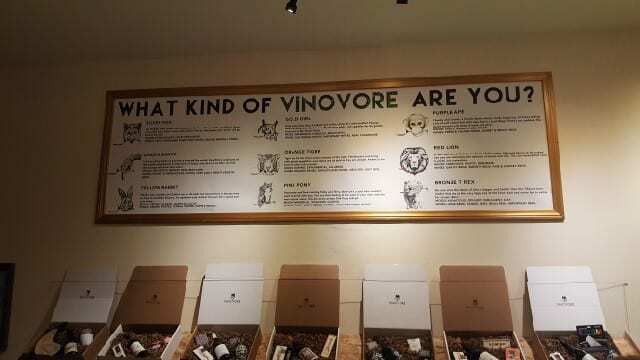 But there are two unique elements to this wine store that set it apart from anything else in Los Angeles and that is why Vinovore is the Please The Palate pick of the week. Vinovore is co-owned by Coly Den Haan, a sommelier who previously owned The Must and Perch in downtown LA. With her partner Dean Harada, a developer, they own Hot Hot Food just up the street (and really the only other business currently on the street). The first thing that makes Vinovore unique is that 90 percent of the wine selection happens to be made by women winemakers. With a strong emphasis on female winemakers, there are wines from California, Washington, Oregon, Finger Lakes, Italy, Spain, France, Portugal, New Zealand and Australia. I think it is wonderful that there are so many female winemakers out there and at this store, I will be introduced to more than the ones I already know! While it is important to note that wine is not any better because it is made by a woman, I think it is wonderful to highlight female winemakers in an industry that is still rather male-dominated. The second thing that makes Vinovore special is how the customer can navigate the store. Wines are on display and tags with tasting notes can be found as well, like in most wine stores. But Den Haan wanted to create a different shopping experience. She wants to be able to educate people without being intimidating or forceful. Instead, it is playful, entertaining and fun. The idea is similar to the Chinese Zodiac. Den Haan has come up with wine spirits animals. A large chart hangs on one wall of the store. On it are nine animals, each associated with a color. There is the Silver Fox, Green Snake, Yellow Rabbit, Gold Owl, Orange Tiger, Pink Pony, Purple Ape, Red Lion and Bronze T Rex. Each animal has a description, as well as a mood associated with it and the style of wines that fit that animal. For example, a Silver Fox is “an elegant taste maker with desires of the finer things in life. A refined, sharp and sleek mind, Don’t mess with a Silver Fox or chances are your invite will get lost in the mail.” The mood is extravagant, craft, exquisite and the wines that fall under Silver Fox are fresh sparkling wines, crisp wines, briny and mineral wines. Once you have selected the animal that you are most feeling like at that moment, you then look for a sticker with the corresponding color on the wine bottle. So, look for a silver sticker for wines connected to the Silver Fox. What I like about this system is that it can appeal to all levels of wine knowledge. You can decide you like the description of the animal or you can like the wines that are suggested. On the shelves, the wines are not displayed by variety, place or style. You just walk around and look for wines with the corresponding color stickers and chose the one you want. This is a creative way to open people up to new wines. Another appealing thing at Vinovore is the price points on the wines. 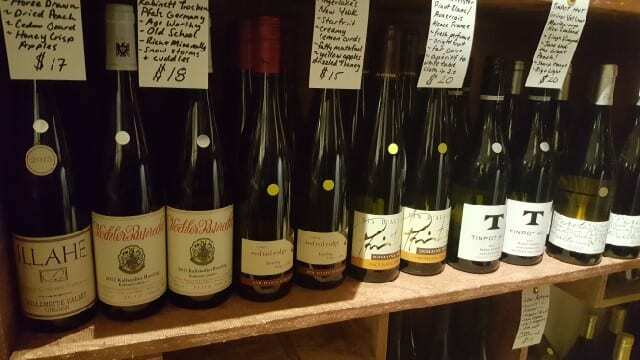 As I looked around, most of the wines ranged from the mid-teens to the twenties, with a few wines around forty dollars. Vinovore also offers creative gift boxes, called Beast Boxes, that fit every personality. The Sloth Box has a cozy throw blanket, chocolate treats, sweet beats and smooth wine for a perfect at-home date. The Badger Box has enamelware wine cups, 1-liter Navaho canteen, pocket knife wine opener, and some earthy rich red wine for the out-door loving woodsy wine lover. The Unicorn Box is filled with crystals, tarot cards, a dreamcatcher, serape blanket, birch screen coasters, and esoteric wine. 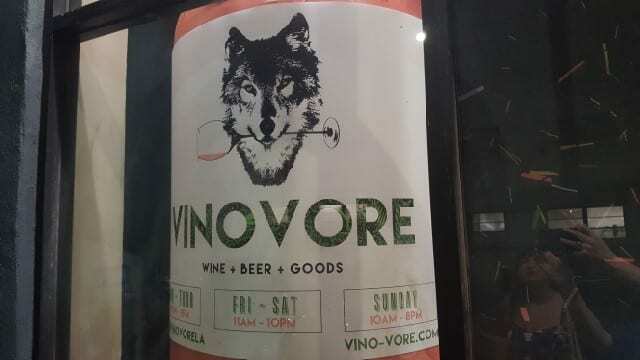 And Vinovore is also offering monthly wine packages, starting at $35 per month, as part of their Wolf Pack Wine Club. Whimsical, playful, educational and unique are some of the elements that make Vinovore the Please The Palate pick of the week. 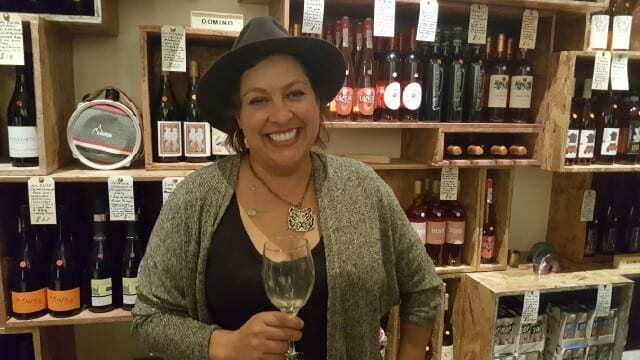 This entry was posted in Lifestyle, Wine and tagged Coly Den Haan, pick of the week, Please The Palate, Vinovore, women winemakers by Allison Levine.